Two influential leaders of Alabama's institutions of higher learning have spoken out against a recently-adopted boycott of Israel. This is an issue of great importance to The Birmingham Jewish Federation and other supporters of the Jewish state. The American Studies Association recently endorsed a boycott of Israeli academic institutions. The action by the group greatly distorted the reality of the Israeli-Palestinian conflict and quickly drew significant criticism from many in academia including Dr. Robert Witt, Chancellor of The University of Alabama System, and General Charles Krulak, President of Birmingham Southern College. "The American Studies Association's decision to endorse a boycott of Israeli academic institutions is very disappointing," said Dr. Witt in an e-mail to The BJF. "The core values of academia are academic freedom and open dialogue, and the American Studies Association's endorsement (of a boycott) is antithetical to both," he added. General Krulak echoed these sentiments. "From an academic standpoint, the American Studies Association vote is a vote against academic freedom which is at the heart of every great institution of higher learning," he said. A retired commandant of the U.S. Marine Corps, General Krulak went on to address the counterproductive nature of the boycott vote as well. "This type of action does nothing to help the situation that exists in a very volatile part of the world," he said. "Rather than exacerbating a dangerous situation, we should be working hard to seek a viable solution to that situation." Dr. Witt and General Krulak were certainly not alone in their opposition to the American Studies Association decision. The Jerusalem Post reported that the American Studies departments at two major American schools, Brandeis University and Penn State Harrisburg, quickly moved to sever ties with the group in protest of the organization's endorsement of the academic boycott. They were soon joined in their opposition by the Association of American Universities, which issued a statement calling the boycott move a violation of "the academic freedom of Israeli scholars, but also of American scholars who might be pressured to comply with it." The Association of American Universities consists of 60 universities including Harvard, Stanford, and Yale. But, criticism of the boycott decision has not been limited to academia. The Anti-Defamation League quickly responded as well. "This shameful, morally bankrupt and intellectually dishonest attack on academic freedom by the American Studies Association should be soundly condemned by all who are committed to the ideal that open exchange of ideas is the most effective way to achieve change," said ADL National Director Abraham J. Foxman. "Targeting Israeli institutions solely because they are in Israel -- the only democratic country in the Middle East where scholarship and debate are encouraged and flourish -- is based on a myopic and fundamentally distorted perspective of Israel and the conflict and is manifestly unjust," Foxman added. The ongoing efforts to delegitimize Israel are of great concern to The BJF, and we will continue to keep Update readers, political leaders, and the general public aware of the difficulties and dilemmas the Jewish state faces as the one true democracy in a hostile region. We thank Dr. Witt and General Krulak for speaking out against the American Studies Association's biased and misguided attacks against Israel and academic freedom. 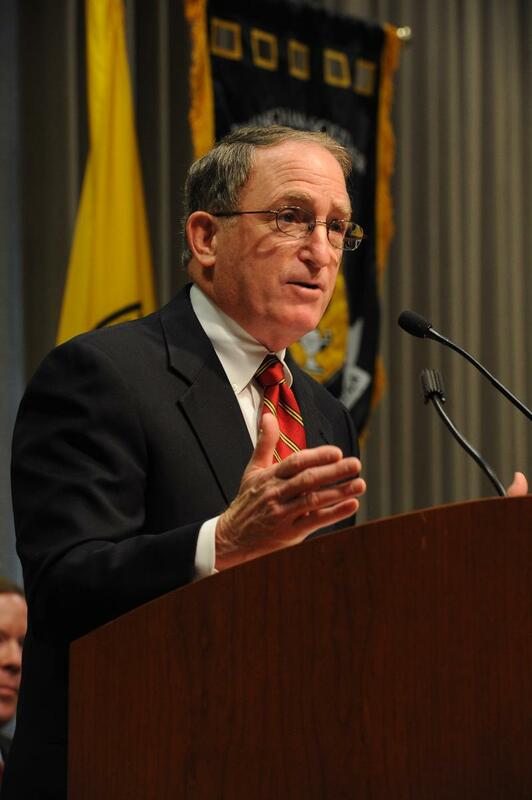 Photo is of Birmingham-Southern College President General Charles Krulak. General Krulak has been a great friend of The BJF. Click for more from Times of Israel.